"Unique opportunity". The Iranian president wants to resolve the nuclear issue within a short time, to clear the many sanctions that are strangling the country's economy. 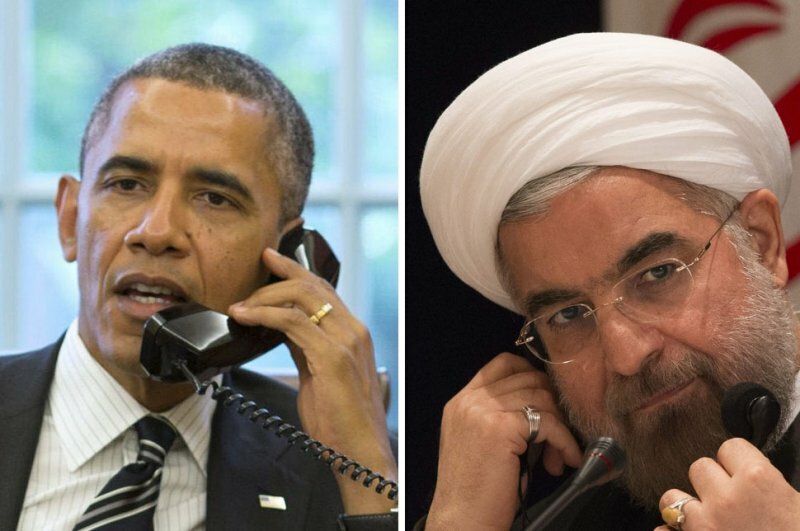 Washington (AsiaNews / Agencies) - U.S. President Barack Obama phoned his Iranian counterpart, Hassan Rouhani for a conversation about the future of dialogue on Tehran's nuclear power. It is the first contact between the two nations after almost 35 years. For Obama the contact was "a unique opportunity". He spoke with Rouhani on his way to the airport after attending the UN General Assembly. In his first speech to the United Nations, Rouhani said that Iran wants to resolve the issue early, hoping for an easing of sanctions that are strangling the economy of his country. He said that Iran does not want to build any nuclear bomb, as many Western countries and Israel have long suspected. Rouhani's election as president last June, has led to new and interesting signs of detente with Israel and the international community. But Israel and some in Washington remain suspicious and would prefer to increase sanctions and threaten military strikes against Tehran. UN, Trump attacks Iranian "rogue" and threatens "the end of the regime"
Holy See: illicit ordinations in China are a "serious violation of religious freedom"